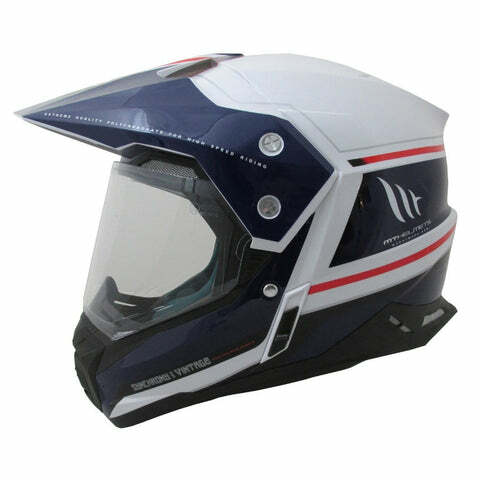 The Synchrony Dual Sport helmet is based on the Synchrony Motocross shell which means that unlike some so-called Adventure helmets it’s not just a dressed up road model. The MT Dual Sport is suitable for all road and off-road activities including Enduro, Trail, Motocross and Adventure riding. Whether you're an Amateur ripper or Pro racer the MT Synchrony shell is sure to protect you all the way. Super strong, super light and supercool, making this the first choice for off road riders around the globe. Incorporating MT's Active Flux 360º Ventilation System. 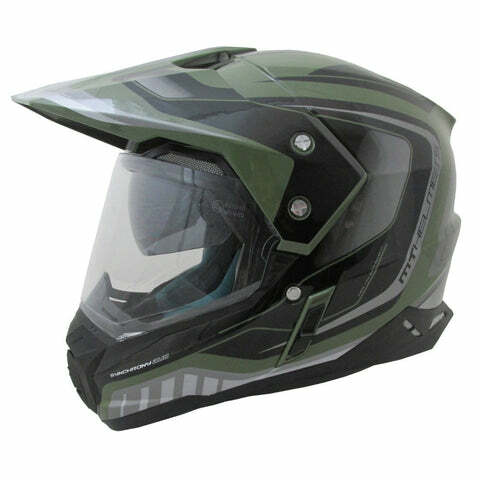 The Synchrony Dual Sport helmet is based on the Synchrony Motocross shell which means that unlike some so-called Adventure helmets it’s not just a dressed up road model. The MT Dual Sport is suitable for all road and off-road activities including Enduro, Trail, Motocross and Adventure riding. The peak can be easily removed turning the Synchrony Dual Sport into a sleek and respectable road helmet. Featuring an internal drop down visor and tested to world standards, just like all other MT helmets, it's tremendous value for money.